March has been a big month for Sage Financials, with the announcement that Sage Financials innovation development will shortly come to an end. We know that for customers of Financials this may have been an unsettling time, and so our Product Director took some time out to deliver on a webinar on your future with Financials. Don’t worry if you missed it – you can watch it again here. In the midst of all the planning and preparation for the future, it is easy to forget that March brings a new Sage Financials upgrade and new features. Including improvements to invoices, Making Tax Digital and automatic contract renewals. Let’s take a look. Navigating between the header and the item lines of a transaction will now be much easier. This is due to being able to save the header and item lines of a transaction at the same time. You will be able to set contracts to automatically renew when they’re due to finish. This also includes automatic price decreases and increases as a fixed percentage or from the current price book value. The new fixed assets register to automatically record depreciation and maintain a list of the assets used in your business. You can now create records for your fixed assets, post a disposal journal, post an acquisition journal and post depreciation journals. The Making Tax Digital (MTD) VAT reports have been improved, including a detailed VAT report and a report for any adjustments you may have made. You are also able to manually adjust the figures on your MTD VAT return and attach any files you need to support and explain the reasons for any adjustments you have made. Your trial balance can now be viewed in multiple currencies. The foreign currency amount posted to each ledger account is shown in the appropriate currency. Each currency has a column that shows the debit and credit balance as well as the debit and credit base balance. The total column shows the overall balance converted to base currency. All records linked to multiple journal types or multiple transaction types at once can be posted or unposted. This makes it easier to apply changes to many records at once and saves a lot of time. Any journals or transactions in a closed period can’t be unposted. Two actions have also been added to Journal Types and Transaction Types, Post All and Unpost All. The display of posting rules for journal and transaction types have been improved. They are now displayed in groups which makes it easier to see when they are applied. You can now automatically allocate payments and receipts using a scheduled job. In order to do this, two feeds need to be set up; one for supplies and one for customers. You can do this by navigating to Configuration and selecting Feeds. Sage has also added a new feed broker, Scheduled Tag Allocations. When the scheduled job runs it uses the new feeds to allocate outstanding invoices and post the allocation journals. March sees a whole host of great new features in Sage Financials, features and improvements that see the product move into a good position for the future. Whether you are looking for future options other than Sage Financials or looking to improve your current Financials software we are happy to help. Just reach out to one of our team. 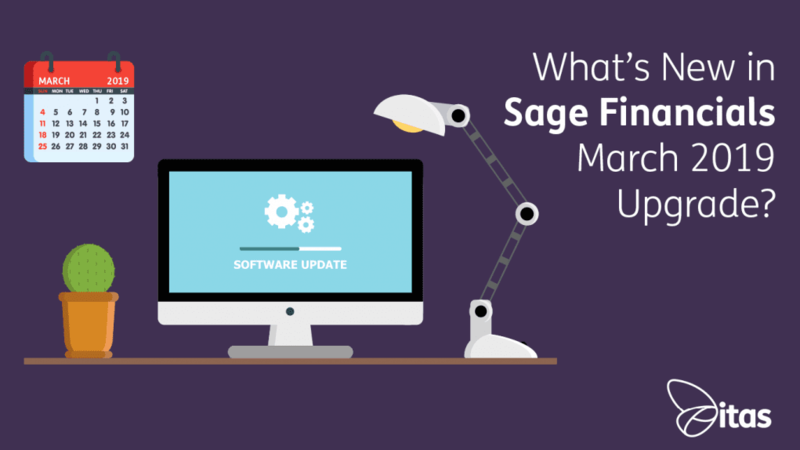 Home » Sage Blog » All Sage Blog Posts » Sage Financials: What’s New in Sage Financials March 2019 Upgrade?